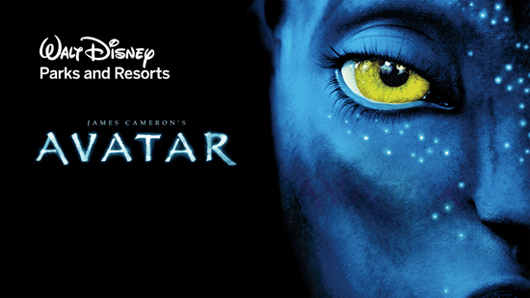 Official Press Release from Disney on the ‘Avatar’ Theme Park!!! BURBANK, Calif.–(BUSINESS WIRE)–Walt Disney Parks and Resorts Worldwide is joining forces with visionary filmmaker James Cameron and Fox Filmed Entertainment to bring the world of AVATAR to life at Disney parks. Through an exclusive agreement announced today by Disney, Cameron’s Lightstorm Entertainment and Fox, Disney will partner with Cameron and producing partner Jon Landau to create themed lands that will give theme park guests the opportunity to explore the mysterious universe of AVATAR first hand. Disney plans to build the first AVATAR themed land at Walt Disney World, within the Animal Kingdom park. With its emphasis on living in harmony with nature, Animal Kingdom is a natural fit for the AVATAR stories, which share the same philosophy. Construction is expected to begin by 2013. Disney to Add ‘Avatar’ Theme Park!!! Walt Disney Wins!!! The Greedy Suits Lose!!! Atmosphere Character Walkaraounds to Remain the Same!!! This entry was posted on Tuesday, September 20th, 2011 at 2:41 pm	and is filed under News. You can follow any responses to this entry through the RSS 2.0 feed. You can skip to the end and leave a response. Pinging is currently not allowed. « Disney to Add ‘Avatar’ Theme Park!! !